Pain and depression are closely linked. Studies show that pain can cause depression and depression can cause pain. Since pain and depression are so closely related, it is important to understand how they work so you can get the treatment you need. One of the most frustrating elements for people going through pain or depression is the way that it can quickly lead to a back and forth pattern. It can be a difficult cycle at times, as the more depressed you are, the worse your pain may feel. Then the increased pain can cause you to feel more depressed. People who have been diagnosed with depression often have an increased chance of developing chronic pain. Similarly, people who have chronic pain can also have a higher chance of developing depression. What Kind of Pain Could Lead to Depression? Almost any kind of pain could lead you to have feelings of depression. It could be pain from a recent injury or due to a condition like diabetes or heart disease. Chronic pain is a major factor in potentially developing depression. Ongoing pain can increase a person’s chance of developing anxiety or depression over time, sometimes leading to clinical depression. What Causes the Pain and Depression Link? Researchers believe that the brain is the key to the connection between pain and depression. The structure of the brain is set up so there is some crossover between the areas of the brain where pain takes place and the parts that depression and other mood disorders occur. Your brain function is another reason why pain and depression may be linked. Your brain uses neurotransmitters to signal pain in your body. Those neurotransmitters also help keep your mood steady using things like norepinephrine and serotonin. Basically, the same elements that are used to help people with mood disorders can also help to relieve pain, due to the similarities in the brain. That is helpful for treatment, as improving one area can help with the other area as well. 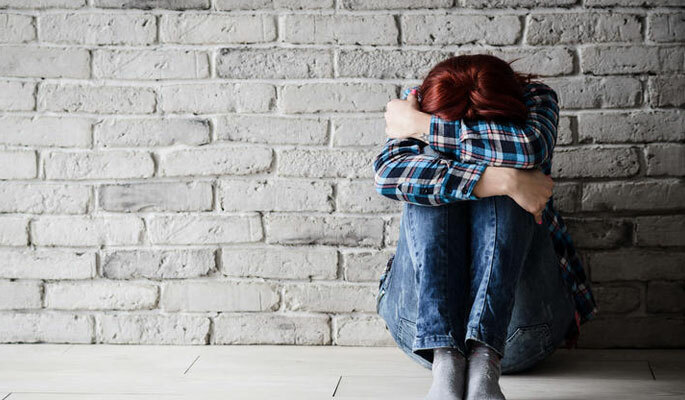 Whether you have pain, depression or both, there are plenty of treatment options to help you feel better and keep you from getting into the pain and depression cycle. Your doctor can help you figure out the best treatment option. The cycle of pain and depression can be stopped with the right help. Talk to a medical professional about your symptoms, start treatment and get on the path to feeling good inside and out.